The famous Original Fried Noodles – use in salads and soups for that extra crunch! These are the best, and the noodle salad printed on packet makes the best salad ever! Just recently I discovered this product and the wonderful recipe for Oriental Fried Noodle salad. I and everyone I introduce to this perfect salad falls in love with it. What a discovery! I adore the chinese cabbage salad they have printed on the packet, and it''s now a staple in our household. 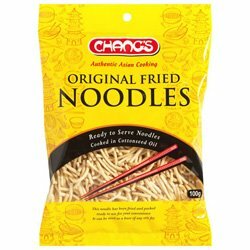 My sister-in-law in Australia introduced me to it when I was home and I am so glad I can get the noodles in the UK. Yum yum.